Window World of Akron is proud to serve all your door replacement needs. Starting with your free in-home estimate to our expert door installation service, we stick with you throughout the entire process. 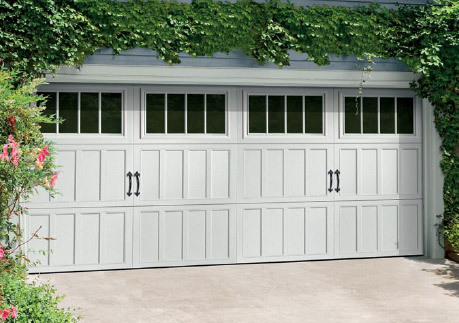 From entry doors to garage doors in Akron, you can rest easy knowing your door is built to last—we guarantee. Every Window World replacement door is backed by our Lifetime Limited Warranty to demonstrate our promise to you. What Makes Our Doors Superior? Window World of Akron’s replacement doors outperform the rest. They’re designed to improve a room’s energy efficiency, open and close with ease, withstand the elements and offer maximum sunlight and views. We’ll take your home’s look to the next level with our replacement doors. Never again choose between functionality and style—they’re a package deal to us! How Do Our Doors Boost Curb Appeal? One word: customizable. Every home has a personality, and we help you find a replacement door that matches. Multiple color, hardware and style options allow you to design the door you envisioned; no compromising required. Give your Akron residence the strong, sturdy door it deserves. Browse our 5 door styles below to learn more and contact us when you’re ready to schedule your complimentary in-home estimate! Is it time for a front door replacement? Make a bold statement with a beautiful custom entry door that reflects the style of your Akron home. With a choice of 18 colors and 14 glass styles to mix and match, your new front door will impress onlookers. Invite natural light into your home with a patio door from Window World of Akron. The seamless transition from inside to outside allows you to enjoy the best of both worlds. And with a State-of-the-art roller system, you’re guaranteed a smooth operation. Incorporating the unique style of patio doors, our design combines traditional elegance with the functionality of a sliding door in this beautiful option. Personalize your replacement French rail door with a beautifully crafted handle, as well as decorative grids or V-grooved glass patterns. Garage door replacement has never been easier. Window World provides you with countless styles and options, including insulated and non-insulated versions. Experience first-rate garage door service in Akron, Ohio when you choose Window World. Extreme weather is no match for our storm doors. Window World of Akron’s storm doors offer protection against the outside elements and provide additional light into your entryway. We design functional and stylish replacement storm doors in Akron, Ohio. Update your home with the elegant doors it deserves. Contact us today to request a free in-home estimate! Looking to lower your energy bills? We also offer energy efficient products, which keeps cold air out during the winter months and keeps air conditioning in during the summer months. Less air leakage and more insulation means more energy efficiency for your home, which translates to big savings over time.